Unsocialized: Raise attainment, raise all boats - feed our children! Raise attainment, raise all boats - feed our children! During the attacks on the fledgling USSR in 1919, when it seemed the Bolsheviks were losing against the combined forces of the British, Americans and the Tsarist forces, and the country was on the verge of starvation, EVERY child was given a daily hot meal via their school. Now, I know people will criticise the fact I used the Russian Revolution and civil war as an example- and yes, of course what the Bolsheviks became was not good- but there are places in the world today who give precedence to their children, like Columbia and Sweden. But in my example, the ideals of the revolution, before the Stalinist betrayal, are plain to be seen. And although Cuba (another country that ensures all of its children are fed) and other communist countries are no surprise, Sweden is hardly ruled by a hardline Trotskyist centrist cadre! Closer to home, Labour, Tory and Lib Dem Councillors who have by increasing the cost of breakfast clubs over the past few years, effectively and enthusiastically passed the debt to the poor working class, the increasingly pressured middle class and families, from the bankers to the greedy millionaires and billionaires -who were bailed out by our taxes. Just this week, the children in West Dunbartonshire have become the latesvt victims of ever increasing bail out payments (as, of course have children throughout Scotlsnd and the "UK"). They are suffering to keep the billionaires in comfort on their luxury liner like yachts and ensconced on their tropical islands. The billionaires can continue to play with us like pieces on a draughts board, jumping us, rewarding us with scraps and jailing us in poverty and amongst crime, grime and shamed into grovelling for what they throw down from their dizzying heights of power. They will say- "no one in the uk starves." "No one is in abject poverty." I don't believe that to be true- and all around our plentiful world, tens of thousands of children die of poverty weekly- all paying the price we were forced to pay to keep the lords and gods of wealth in their palaces. In the UK, here in Scotland, in my experience, children come to school hungry - or having been fed quickly with something inappropriate or inexpensive but extremely unhealthy. The Scottish Government has announced new targeted money for raising attainment. 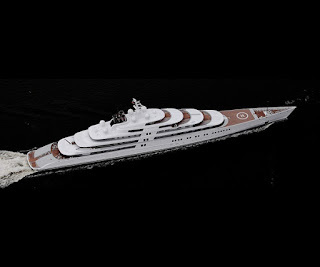 I feel the money needs to target health inequality first - by raising all ships and not just, as is happening in our "austerity economy," the luxury liners of the Roman Abramovich's and Emir's of Abu Dhabi of this skewed world. How much food is thrown out of the Emir's ship? Food education is imperative - world wide. If a so called Labour Councillor gives in to this starvation by passing on this debt and increasing the expense to feed our most vulnerable citizens, in a so called rich country- think of the same lack of spine in the two thirds world and what that condemns children and mothers and fathers to. And that cowardice in the face of big money is killing children across the globe. But it is also condemning Glaswegians, Edinburghers, Stirling-ites, Stranraereans, Wickians etc to low life expectancy because of lack of food education and the lack of options poverty allows. The Lords and Gods of wealth are condemning us to a world of increasing poverty and child murder. As the rich and middle classes of the world throw out food they are condemning others to death. In Britain alone, 300,000 children are living precarious, hungry lives. 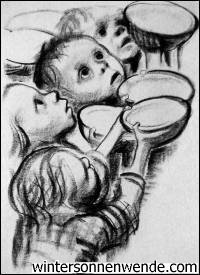 And world wide, today, 15,000 - 20,000 children died of preventable causes including starvation. They are condemning us to make Sophie's Choice on a world wide scale- and they are ensuring our heads are not able to look up from the digest of scapegoating poorer and more desperate people across the world, and low paid, insecure work. The choices the rich make see tons of food wasted every day. Shame on Labour, the so called party of the working class. At least the Tories and Lib Dems have form and are protecting their greedy profit before people system. 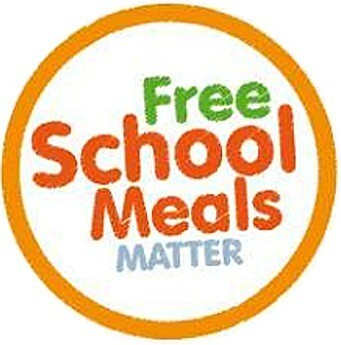 To OK the ending of free meals, cheap or free breakfasts for our children, it makes food education and the promises of tackling health inequalities nothing more than a political football to be kicked into the long grass when the reality of power is sat on their lap. Shame on anyone who does not fight for the children of the world and gives in to those who steal their future. All children across the world could have one meal a day provided through the wealth each of us generates. Every child in the world could feel safe, nourished and have a great education if greed, robbery and protecting the billionaires - increasing profits - was NOT the raison d'etre of our economic system. Some people say, "but my child does not need a free meal." The beauty of a system in which everyone, universally benefits means just that. If you can afford for your child to buy a meal in school- in a universal system, that money you are not paying can go to something else. It will go into the economy in another way. And can benefit your child in another way. Some can afford to jump medical queues- but the fact is, with our universal health system (that is under massive attack from the Tories) we can all have treatment free when needed. Food, exercise and health education MUST be part of that. Universality raises all ships. And universal free meals across the world for all children at school is totally affordable -even as we pay off the billionaires debts through our graft and sweat, time poverty, loss of needed benefits and loss of power, safety, and right to be us. Children concentrate better in school, are more active and are less likely to eat rubbish if they are given a free, wholesome meal. Food education is needed in our increasingly obese and unhealthy, sugar and hydrogenated fat leaden cheap ready meal diet. A good meal full of well sourced ingredients should be an obligatory part of the curriculum. The study of religion, art, cursive writing, lining up and sitting, fidget-less are necessary. In my opinion, the study of the effect of food on our bodies, the effect of good food and bad, should be funded. And part one of that should be free meals for all school children- raising attainment and fighting the effects of poverty- but also helping educate children across the world in food production and biology of their own bodies. There are certain things in life children have rights to. Safety, shelter and education- all huge struggles in poverty and robbed and war torn parts of the world. And all extremely much more difficult to assure when children are surrounded by poverty anywhere in the world. But food sustainability in a world in which there is enough to feed everyone, yet massive food inequality (eg 842 million people in the world go hungry, 1.5 billion are obese- some of that obesity down to bad nutrition that poverty brings in the western so called rich countries!) is imperative. Food sustainability is only possible when all of us understand it and participate. Let's start the process of food equality with our children. Think about what changes a well fed, healthy generation of children - the children WE have charge of today - could make to the world.